June 27, 2018, 1:26 p.m.
By Marlee Baldridge June 27, 2018, 1:26 p.m. 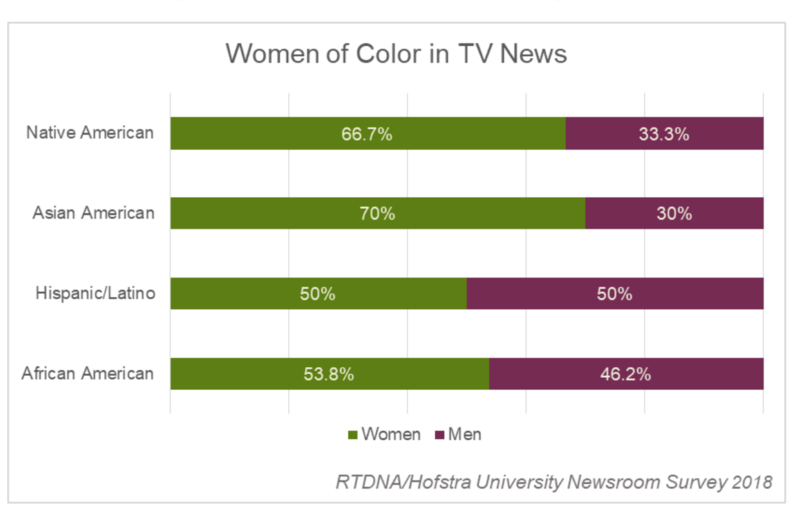 The Radio and Television Digital News Association (RTDNA) and Hofstra University just released its annual newsroom survey on newsroom diversity, which covers 2017 and shows slight progress over 2016. However, there is still work to be done. The good news is that women are slowly seeing themselves reflected in a wider variety of broadcast newsroom jobs. The bad news is that people of color are still struggling to reach proportional numbers of representation in newsrooms. RTDNA and Hofstra surveyed 1,683 non-satellite TV stations and a sample of 3,542 radio stations in the fourth quarter of 2017. 1,333 TV stations responded (79.2 percent of those asked), and 415 radio news directors and general managers representing 1,110 radio stations responded. More women of color are in TV management than ever before — barely. Beating the record of 24.6 percent in 2001, this year 24.8 percent of respondents in local TV news are people of color. That’s up from 17.8 percent in 1990, but it’s not representative of the general U.S. population, which is 38.3 percent non-white. Women are better represented in TV and radio newsrooms than in previous years. The percentage of women in the local TV news workforce was 44.4 percent in 2017, up 0.4 percent from 2016. 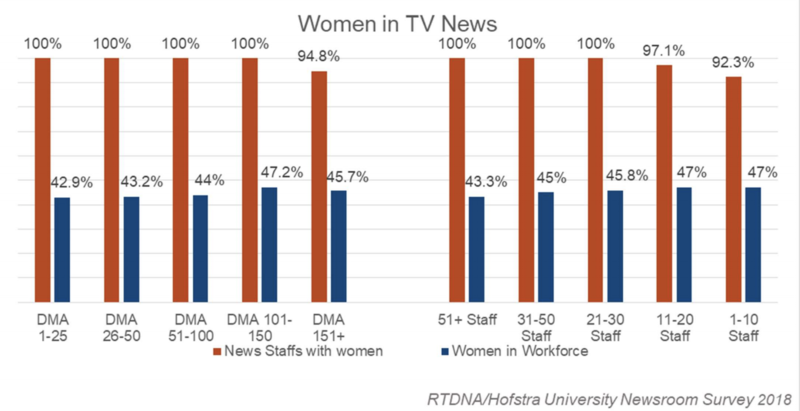 But as markets get larger, the percentage of women in the newsroom gets smaller: Women made up 47.2 percent of TV newsroom staffers in markets 101-150, 44 percent in markets 51-100, and 43.1 percent in the top 50 markets. More people of color are TV news directors than ever, up about 10 percent since 1990 and up 2.5 percent since 2016. But this hasn’t kept pace with the growth of the non-white population in the U.S.
Radio station leadership in 2017 included fewer people of color, and fewer women, than in 2016. Less than half of radio news staffs have even a single woman on the team. The percentage of staffs with any women at all dropped nearly four percent between 2016 and 2017. While more women are becoming station general managers and news directors (up 1.2 percent and 5.3 percent, respectively, over 2016), women are twice as likely to be news directors at non-commercial stations than at commercial ones — though “overall their representation decreased at non-commercial stations, too.” And, overall, the percentage of women working in radio news is slipping: “Women fell from 36.1 percent of the radio news workforce [in 2016] to 34.3 percent” in 2017. Though women are making up a larger portion of the workforce in some newsrooms, that doesn’t necessarily translate to leadership roles. In major markets (of more than 1 million listeners), women made up 40.7 percent of the newsroom, but only 25.8 percent of news directors. It’s frustrating that newsroom diversity is making little headway year after year, though with more women of color taking up leadership roles, there is the chance that more room will be made at the top. Audiences are growing more diverse for broadcast news, and it’s a business imperative to reflect the customer base. 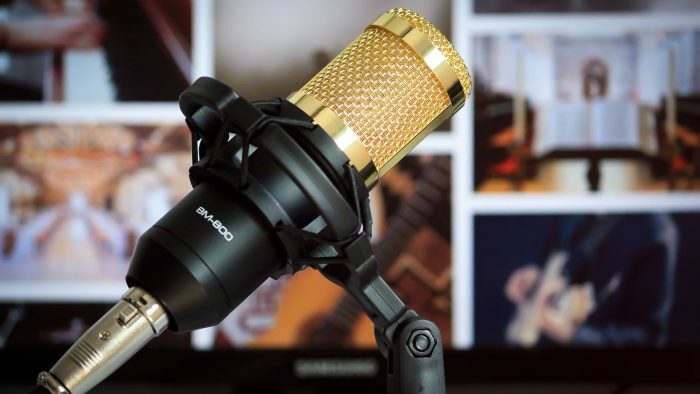 Photo of microphone by Prince Abid used under a Creative Commons license. POSTED June 27, 2018, 1:26 p.m.
Baldridge, Marlee. "Fewer women, people of color worked at radio stations in 2017 than 2016, a new survey shows." Nieman Journalism Lab. Nieman Foundation for Journalism at Harvard, 27 Jun. 2018. Web. 20 Apr. 2019. Baldridge, Marlee. "Fewer women, people of color worked at radio stations in 2017 than 2016, a new survey shows." Nieman Journalism Lab. Last modified June 27, 2018. 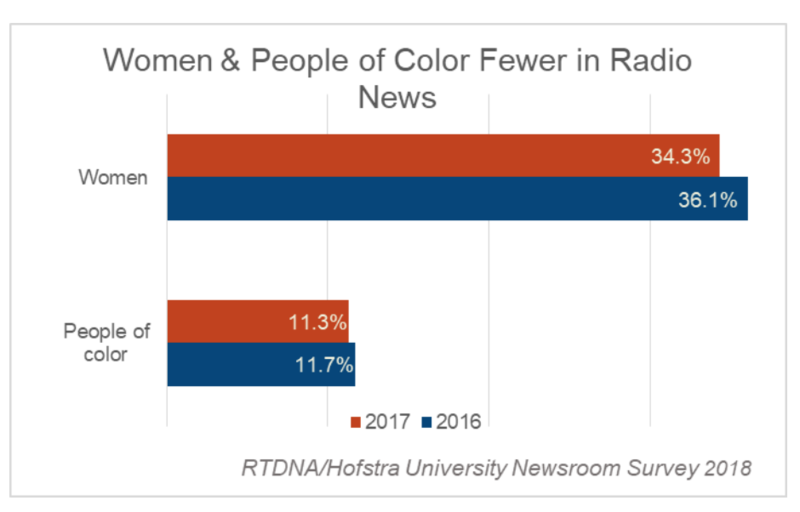 Accessed April 20, 2019. https://www.niemanlab.org/2018/06/fewer-women-and-people-of-color-worked-at-radio-stations-in-2017-than-in-2016-a-new-survey-shows/.